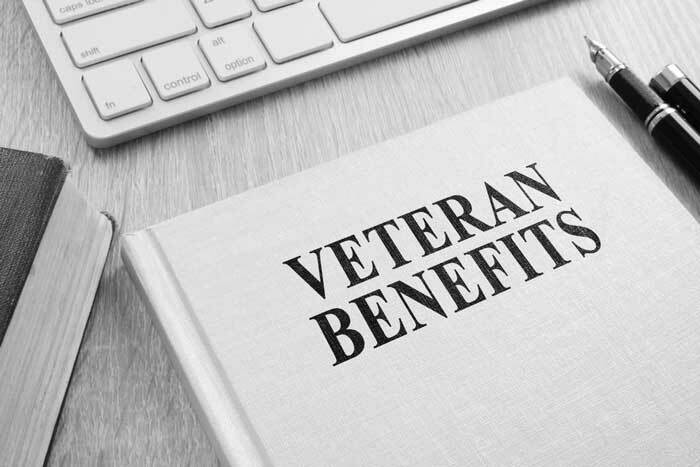 The survivor benefit or Survivor Benefit Plan (“SBP”) is an annuity paid to a service member’s spouse if the service member dies in active service. Unlike the survivor annuities for federal civil service employees, the military SBP can go to only one person, whether spouse or former spouse. So if your military spouse marries another person after divorcing you, that new spouse could get the benefit, unless you’re wise enough to fight for it in court during the divorce. The Court would have to write it into the Judgment of Divorce and into a Qualified Domestic Relations Order. Even after you get the court order, you will get no annuity payments unless your service member ex-spouse does the following. First, the service member has to execute an “election” to provide an annuity to you, his former spouse. Presumably, he or she would have done this when you two got married. Secondly, the service member has to prepare a Constituted Pension Order (“CPO”) and send certified copies to the Defense Finance and Accounting Service offices (“DFAS”) in Cleveland, Ohio and London, Kentucky. Yes, you have to send it to both offices. The red tape is madness. The U.S. Court of Federal Claims, however, at least seems willing to review cases where this has happened to former spouses. In one such case, the court describes a procedure for filing an Application for Correction of Military Records to help soften the harsh consequences of failing to submit a deemed election, but it’s far from a perfect solution. See Bonewell v. U.S., Case No. 08-745C. If you and your spouse are divorcing and he or she is in the military, you are due a portion of his or her “disposable retired pay,” which can be calculated according to whatever formula you and your spouse agree to or a formula the court orders. Keep in mind, however, that the Defense Finance and Accounting Service will not issue more than 50% of the service member’s income. See 10 U.S.C. §1408(e)(5). If the parties have agreed that, for whatever reason, the non-military spouse should receive more than 50% of the retirement pay, the service member will have to pay the remaining amount (over 50%) directly. More on this below. Also, see 10 U.S.C. §1408(e)(6); In re Hicks, Case No. 6:14-bk-07149-KSJ, United States Bankruptcy Court, Middle District of Florida, Orlando Division. May 22, 2015. There’s also the 10 year rule (a.k.a. the 10/10 rule), which says that DFAS may make no direct payments to any former spouse unless the former spouse was married to the service member for at least 10 years, during which 10 of those years the service member was in the military. This means that if you were married to your spouse while he or she was in the military for 9 years and 11 months, the court can order that you get half military spouse’s retired pay, but DFAS will refuse to send you any money. See 10 U.S.C. §1408(d)(2). You must get the payments directly from your ex-spouse. This presents a real enforcement problem. If your military ex-spouse delays or refuses payments, you would generally have little recourse. You can’t garnish the retired pay. One way courts have dealt with this problem in the past was to grant non-military spouses a money judgment in the amount of the value of their share of the future retired pay. A money judgment is, at least, enforceable in court. If you and your spouse owned your marital home, you could enforce the money judgment against that home, so that when it’s sold, you’ll get the amount of your judgment right off the top of the home’s value. Of course, this isn’t a great solution if your home isn’t worth much. Another solution is to provide you (the non-military spouse) with alimony equal to the amount of your share in the retired pay, adjustable only by cost of living increases given to service members through their retired pay. You’d also have to ensure that the alimony is set to terminate only upon the death of the former spouse and specifically add that the remarriage of the former spouse would not terminate the alimony award. The good news is that the 10 year rules doesn’t apply to SBP so if the service member has died, and you’ve follow the steps above, you’ll get those payments for life no matter what. If your military spouse is disabled, he or she can waive part of his or her retired pay in exchange for Veteran’s Administration (VA) disability payments and these payments are not taxable, nor are they considered marital or community property. This means that you can’t split them up in a divorce. The money belongs wholly to the disabled service member. On the other hand, you can count disability payments as income for calculation of child support obligations. This essentially means that a disabled service member is able to keep what otherwise would have gone to you, the ex-spouse. See Mansell v. Mansell, 490 U.S. 581 (1989). A lot of litigation surrounds this issue and at least one court claiming it a breach of contract to waive one’s retired pay after promising that pay to an ex-spouse. Nonetheless, the bottom line is that if you’re the military service member, make sure that you get your VA disability rating before the divorce, and if you’re the non-military spouse, make sure you get the divorce before that VA disability rating takes effect. At least then you’ll have a fighting chance.